The group has direct and indirect presence and strategic partnerships in about 57 countries across Europe, Asia, America and Africa. In India Gi Group has offices in 10 major cities. The Group has developed a strong expertise in recruiting for large and multinational organisations, for which it has implemented global solutions (e.g. Managed Services; Statutory Compliance) through specialist divisions and dedicated local and international teams. Gi Group has been present in India since 18 years, helping clients implement highly crucial projects through hiring great talent. It has been constantly innovating its services in order to remain ahead of times. 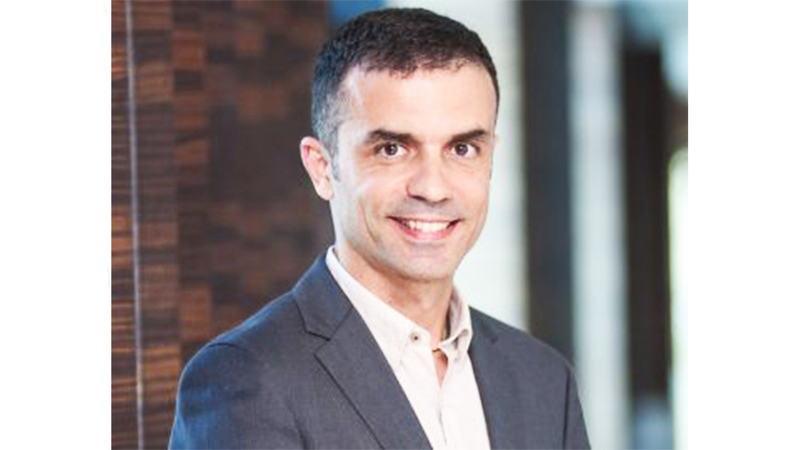 In an exclusive interview with WorldHRDiary.com; Marcos Segador Arrebola, Country Manager - India, Gi Group shares more insights about the company’s India operations, industry trends and future goals. WHRD: How has been the growth trajectory for GI Group so far in India? Marcos Segador Arrebola: The growth in India for GI Group in the last few years has been a bit low due to some specific market situations. But now, for the future we are hoping to follow the trend of the whole country and revamp the company in all the areas. WHRD: What growth potential you see in the India market? Marcos Segador Arrebola: India is one of the powerhouses in the world and is one of the few countries that has a growth rate of above 7%. Therefore, we are pursuing the growth, knowing the potential of the country is limitless. WHRD: How do you see the influence of digital technologies in HR space? Marcos Segador Arrebola: Digital technologies are influencing not only in HR space but also in many other businesses as well from transportation to banking to production. The most famous technologies are machine learning and artificial intelligence, but other technologies are coming up, like big data and cloud computing which are going to influence all kinds of fields and markets. The companies, which does not include these technologies, will definitely suffer to some extent in the near future. WHRD: What according to you are some of the global HR trends that dominated across sectors last year? Marcos Segador Arrebola: One of the trends that dominated in the HR space this year is definitely technology. Artificial intelligence is going to impact across all industries and fields. There is a potential contribution in the global economy of artificial intelligence by 2030 which is estimated to be above 16 trillion Dollars. Some economies will have a boost of up to 25% increment only because of artificial intelligence. The second trend, which comes after this, is definitely demography. For a young country like India, this impact would be delayed… but for other countries –like in the European region or Japan- demography will impact to a great extent. People are getting older in these countries and regions and at the same time, they are living longer. We have to understand how to include these long life expectancies and how to include social welfare among the people. WHRD: What new HR trends do you see in 2019? Marcos Segador Arrebola: The trends in 2019 will definitely be in the field of technology. For a country like India, Technology will increase the overall growth rate and size. WHRD: What is the company road-map for the next 1-2 years? Marcos Segador Arrebola: GI Group is willing to grow in India. At present, we are around 15000 employees. By 2020, we are looking forward to grow to 25000 at least, with great focus on three business lines we are already running in the country: Staffing, Contingency and Executive Search.